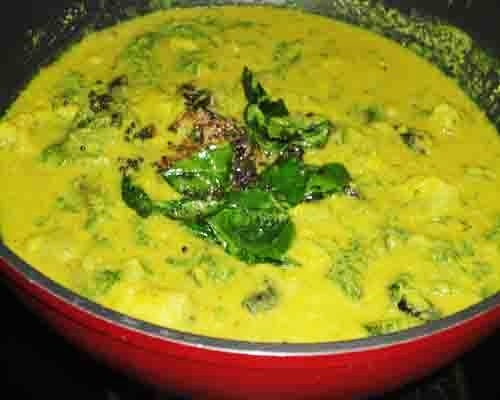 Healthy, delicious and easy to make dal. A gravy for rice prepared with coconut based masala paste, thoor dal and zucchini. Wash zucchini and pat to dry. Cut them into cubes. Boil 2½ cup of water in a large pan. 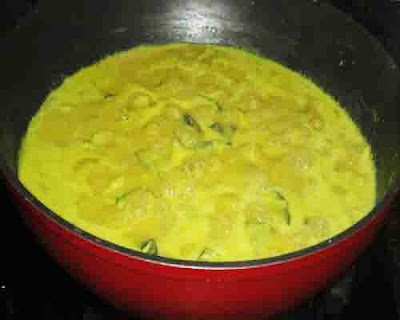 Add the zucchini pieces and cook till they become soft. Keep it aside. Combine the ingredients mentioned under the "Grind to paste" and grind it to a thick and smooth paste. Keep it aside. 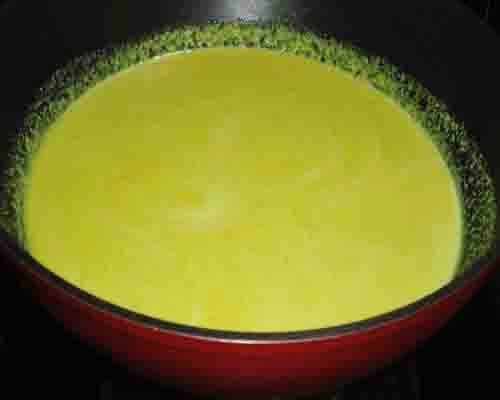 Put the cooked thoor dal in a large pan. 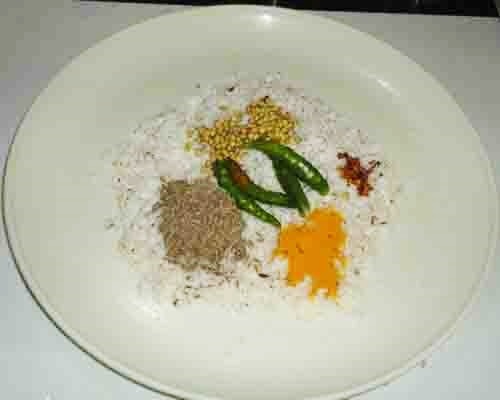 Add the above prepared masala paste. Add salt and mix. 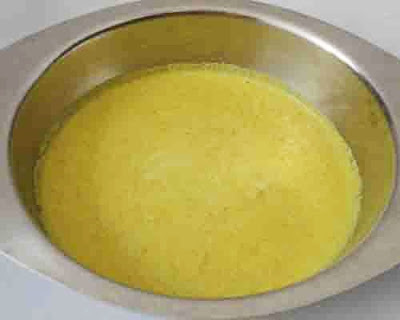 Make a medium thick consistency paste. 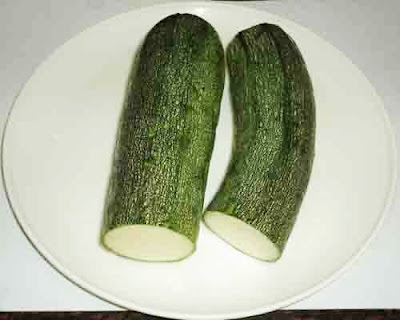 Add boiled zucchini along with water. Add kokum if you are using it. Bring it to boil on high flame. Simmer till you get the desired consistency. Switch off the flame. 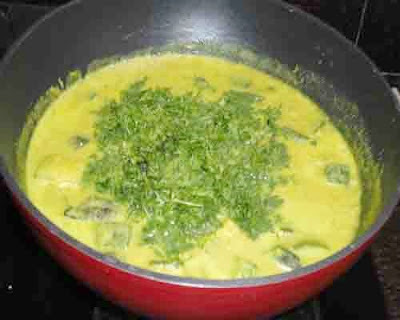 Add the chopped coriander leaves. Mix well. 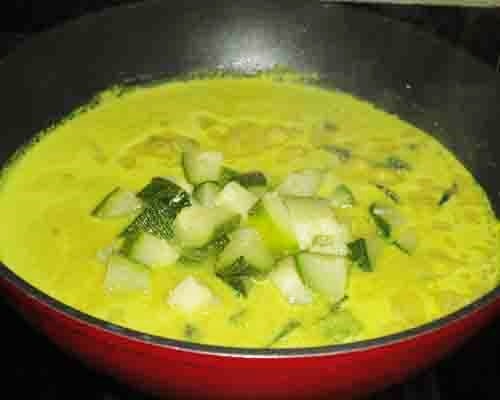 Make a tempering with the ingredients mentioned under "for the tempering" and pour it on the hot zucchini dal. Enjoy the zucchini dal with hot rice, chapathi, and roti. 1. Wash the zucchini and pat to dry. 2. Cut the zucchini into cubes. 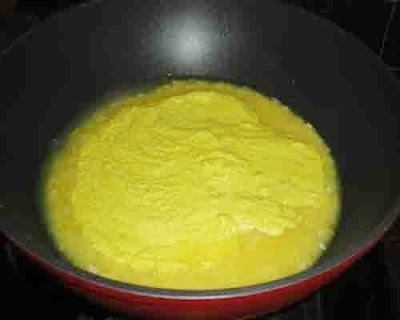 Boil 2½ cup of water in a large pan. Add the zucchini pieces and cook till they become soft. Keep it aside. 3. Combine the ingredients mentioned under the "Grind to paste" and grind it to a thick and smooth paste. Keep it aside. 4. Put the cooked thoor dal in a large pan. Add the above prepared masala paste. Add salt and mix. 5. Make a medium thick consistency paste. 6. 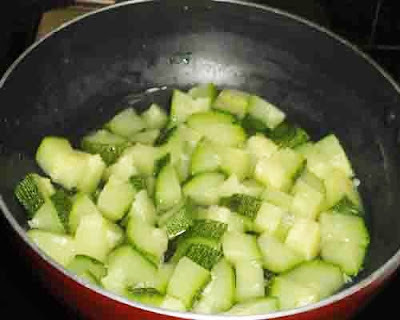 Add boiled zucchini along with water. Add kokum if you are using it. 7. Bring it to boil on high flame. Simmer till you get the desired consistency. 8. Switch off the flame. Add the chopped coriander leaves. Mix well. 9. Make a tempering with the ingredients mentioned under "for the tempering" and pour it on the hot zucchini dal. 10. Enjoy the zucchini dal with hot rice, chapathi, roti. to thank youu for your time for this particularly fantastic read!! have you book-marked to check out new information on your website. Wow! This is such a wonderful dish. 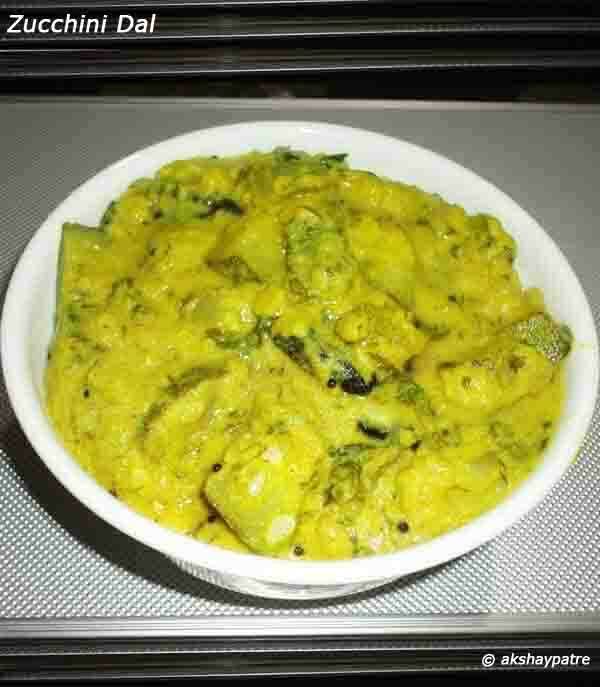 Thank you for introducing this delicious curry to us.